Well crafted WordPress gaming themes can be hard to find, but there are a number of developers who have made some outstanding and dedicated gaming themes. If you have ever tried to modify and customize a regular WordPress blogging theme into an online gaming community website you will know that it’s possible to some extent, but you might not get it tailored to work 100% the way you intended, leaving you frustrated. This is where selecting a theme specifically designed for gaming blogs, portals, communities, review and news websites will do the difference. You can easily use a magazine/review theme for your gaming site as they feature advanced and robust review systems. Some of the themes presented in this article are fully responsive enabling your site to be viewed on any device or resolution. Common to most dedicated WordPress gaming themes is the use of high contrast colors to set the scene, such as either dark or light color schemes, making an overall more impressive user experience. They are tailored to present a wide variety of multimedia files like movies, images and online content from different sources like YouTube, Yahoo etc. Embedding videos and uploading/adding images or content to your site have never been easier. Especially premium themes offer an advanced and user friendly backend system allowing you to tweak and customize any part of your theme. They also make use of either a user or author rating system adding powerful review and community functions. The home page is where all the magic comes true – assembling all featured posts of the latest video game reviews using large images and jQuery sliders to get the attention from users. Free game themes don’t always offer this kind of advanced features to enhance the user experience and typically require more development to fit the webmaster requirements. However the strongest argument for selecting premium themes typically is the support and guaranteed updates. When building a serious gaming site this is more important than you may realize up front. In this article, I present a mix of 40 free and premium WordPress gaming themes that I think are among the best available right now. This article has just been updated with new themes, and all links have been checked. Enjoy! The Source is a three-column magazine style wordpress premium theme with a pleasing and sophisticated layout. It has been specifically designed to display loads of content in an organized yet visually organized manner making it perfect for online gaming magazines. The 3-column grid gives you increased control over your layout, and the full-width homepage slider creates a visual impact that is sure to pique your visitor’s interest. If you dislike the standard black color scheme you can select either grey, blue or red. Furthermore you get a 4 column widgetized footer, homepage category boxes featuring the latest posts, styled popular, recent posts widgets and loads of shortcodes. There are plenty of opportunities using this theme and making a truly unique website is very easy and straight forward even if you are a beginner – thanks to the advanced features in the ePanel options pages. The ePanel is well known for being very user friendly and gives you great control of the theme. This theme embodies and includes all features and needs of XXI century advanced gamer: starts from the ability to discuss latest and the most popular games on blog, to observe top-list of the most played ones, publish and share your own game strategy, advise your mates some useful and unusual things, maneuvers, ways of the win, also to view videos and trailers of all games, to comment and communicate with your teammates on forum and so on. eGamer is a beautiful and well organized video game blogging theme with premium features. It’s clean layout and sidebar on the left makes it easier to navigate than a standard blogging theme. The integration of an author rating system is a must have to get a theme like this to work. Ratings appear on the post page in a 0-5 star format and each post that has a rating is also shown on the homepage under Recent Reviews section. An effective way to catch the attention of users is the possibility to embed videos directly in posts in a pleasing manner. eGamer also gives users control over many of the theme’s functions, making the banner ads, recent reviews section, recent video section, popular/random articles section, and post-page thumbnails optional. All this is done within the excellent ePanel theme options page which is the place to change all theme specific features. You get additional support and updates from ElegantThemes ensuring that this theme will always run on the latest WP versions. Gameleon is a powerful WordPress theme, especially designed and created for Online Games! Now, you can have your own unique Gaming Website and impress your online players with this fully functional WordPress Arcade theme, now fully compatible with MyArcadePlugin Pro. Also the Gameleon Theme is now compatible with MyArcadeContest and WPSS Arcade Extension. GamingZone is a WordPress magazine theme for Gaming portals, Gaming news websites & General News sites. Every element of this theme is well crafted and makes your site look professional website and you get maximum exposure to your content. GamingZone theme has all the things that a profesional gaming website/blog needs. Whether you want to give your dusty old blog a new coat of paint or are drowning in a sea of posts and categories, Gonzo is here to your rescue. Simplify and present your content in a way that is accessible, logical and beautiful. Gonzo is built with semantic HTML5 /CSS3 and is completely responsive. Not only is it responsive but it also keeps that magazine feel right down to mobile screen sizes. Practically every typographic element has been endlessly tweaked for different screen sizes to make sure it looks great no matter what the device. Easy to use review system with support for both stars and percentage ratings. You also have the option of placing the review at the top or bottom of the post. On top of that, the reviews and other posts share the same taxonomy (category system). You can mix the reviews in with your other content or separate them; that’s your call. Continuum is a premium WP theme perfect for hard-core online game news sites who have previously shoe-horned content into “bloggy” designs. It’s a well made theme with a very unique and professional style and an impressive list of features. This theme can be customized and tweaked to anything you want due to it’s more than 200+ theme options! Even though it sounds overwhelming it’s easy to manage and the pages are intuitively divided into separate tabs and each tab is further organized in sections. It offers 11 custom widgets, 5 custom jQuery content sliders, 19 unique sidebars, built-in reviews, 3 custom menus and lots of premium magazine features just to mention a few of the many fantastic features. It’s designed specifically for Word-Press 3.0+ and features an extensive feed framework which intuitively groups and displays your posts and lets the user sort the posts the way they like. Indeed a very unique and fresh theme for anyone looking for a very flexible solution – you’ve got to see the demo to understand the diversity of this theme! Score is a WordPress and BuddyPress theme that is ideal for reviewing any kind of content. The theme is integrated with the powerful GD Star Rating plugin to bring you some useful review features seamlessly. Game Portal is a powerful WordPress Theme with standout design and multipurpose functionality. This theme supports BuddyPress which gives you an amazing chance to build your own social network community within your website easily. Turn your website into interactive place for fans and visitors via multiple user groups, discussion forums, activity steams, friend connections, private communications and your favorite blogging features. 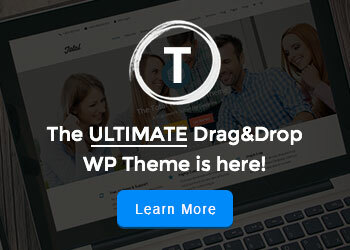 Note, this theme is compatible with BuddyPress V1.5.5. Swagger is the first-of-it’s-kind magazine style premium WordPress theme that allows you to create unlimited custom review “mini-sites” within your main website (works for non-review sites just as well as review sites!). That means you can load up your site with tons of content and then present it to your users in an organized way using just one or multiple mini-sites. Swagger’s front page will grab content from your mini-sites and display it all together in an awesome, content-rich page to give your users the best user experience possible. Swagger is guaranteed to increase both the average length of time that your users spend on your site and the average number of pages that they view. Perfect for a gaming site. Buddy is a clean, modern and fully responsive WordPress and BuddyPress theme that can be used for any type of website, whether it be business, corporate, community, magazine, portfolio, gaming etc. With an auto install feature you will have the theme set up in under a minute. This game portal template has everything for proper functioning. The visitor can easily register to the game club. The search bar, go-to-top button develop the coziness of the website usage. The user is able to get fresh game news after newsletter subscription, blog and twitter sections show the latest posts and tweets. All the elements summarized into the one website design gives a visitor immersive gaming experience. Made is an industrial strength review/magazine theme powered by a rock solid framework built to showcase your content and proven to increase the amount of time users spend on your site. two unique skins, unlimited color schemes, and a brilliant array of provided background designs enable you to make Made your own. TheGame WordPress theme is a perfect foundation for a game website. Easy to use administrative panel, custom widgets, an eye catching related posts and lots of other powerful features provide a great base to build on. Nice high contrast WordPress game theme with dark and orange color scheme to set the scene for a powerful and mesmerizing theme. Want to share your passion with others? Why don’t you run a gaming reviews site? This theme has 3 Layouts for the Homepage, 4 for the listing pages. Gameplay score? What about music and graphics? Just enter your score and we will take it from there. It features a custom widget so you can display your top rated reviews on the sidebar of your website. IndiGamer is based on the skeleton grid which means that it’s accesible from a wide range of devices and fully responsible. ReviewIt is a very well made, clean and organized WP theme targeted a niche market whilst being relevant. 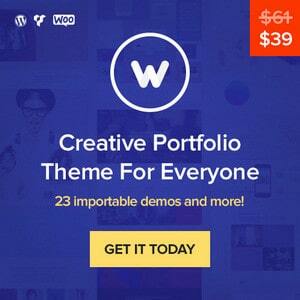 It’s a powerful review and community theme utilizing the GD Star rating WP plugin. It features 2 unique skins (light or dark), lots of amazing shortcodes and a commercial JW video player worth $80 that supports all major video formats. It has 8 custom widgets, improved PrettyPhoto LightBox, unlimited sidebars, jQuery disabled support and a nivo slider with the ability to showcase videos from youtube or play flash, mp3 etc. It’s very customizable and there are tons of easy to use theme options through the backend system to customize your theme. Furthermore it’s 100% BuddyPress compatible. This is an absolute masterpiece with quality coding and could easily be a premium theme! This theme might be just what you are looking for. GameCenter a magnificent WordPress theme, it includes easy to use administrative panel, custom widgets, slider, menus and lots of other useful features. Theme developed for a games website, but you can easy adapt it for your wishes. LeetPress has been specifically designed as a word press gaming theme. The fantastic clean design and dark color scheme (default) makes it an awesome experience for the visiting user. The slick rating effect is just amazing and adds to the professional feel of the theme. It works like an animated bar that grows to the respective rating – cool! What I particularly like about this theme is the use of large images for the latest news posts on the home page rather than the usual smaller square images in a traditional blogging theme. And the simple layout that is not too crowded with widgets, confusing sidebars or banners. It features 4 skins (blue, red, orange and green), cool full width slider, review, video, slider and screenshots post types and comes with 8 help videos with voice to help you getting the theme setup and customized. Gaming freak? Got the story (and the game) before anyone else? Want to share your passion with others? Then run Ithaca gaming reviews site which comes with 5 predefined color schemes. Gives users a chance to get a taste from every section of reviews on site with this homepage. Has a great rating system. Has loads of theme options, localization, cross-browser compatibility, shortcodes, custom menus, color variations, HTML5/CSS3 and support. GameNow is a premium word-press theme packed with features perfectly fitted for a gaming portal or blog. This theme uses high contrast colors and the design elements fits perfectly with a game site. You can even let your users choose between two color schemes light or dark. It’s easy to involve your users letting them rate games using the GD star rating plugin which allows for a user-integrated 5 star rating system. Black Aperture is yet another dark colored news and reviews theme specifically made for video games. On the homepage there’s a unique featured posts showcase for the latest video game reviews and the default 3 column layout allows you to have 2 widgetized sidebars. You can change it to a 2-column layout if you like which will remove the left sidebar though. It features dynamic resizing of images for various thumbnails which can be used through out the theme without the need to resize anything after the first image upload. You have access to a custom built theme settings panel that allows you to customize the theme without editing any templates. Change the accent color used in the navigation and headings using a color picker, switch 3 to 2 columns styling, construct the main navigation bar and even manage ads. Wave is a very beautiful and flexible theme catered to those who want to build a video focused site like a game review website. A great layout makes it easy to navigate and users will be able to rate individual posts. Both sidebars are widgetized and using the 3 main ad spots along with recent posts and recent videos will make it easy to customize the theme to your liking. It’s appealing grungy design might not appeal to you but you can easily change things to make it look more smooth. It supports any video size up to 920px wide and you can flag High Definition videos with an HD tag and the theme will display it in full width. You can post videos from anywhere like third party services, videopress or self-hosted videos. The well documented backend system will make it easy to adjust specific theme options and the super lean markup and CSS makes advanced customization a pleasure. Games theme has a very clean yet awesome design that really looks great. It has a full width slider with preview at the top to catch the attention of visitors and 3 nice content layout areas which are widget ready below. Color scheme works well with this template and the menu is easy to access and complements the design of the site. GameNow uses a fullscreen background image to set the scene right when visitors hit the front page. A compact yet powerful design with a slider below the menu for posting news items and a dark color scheme which is perfect match for a gaming review or community site. Games 2 works well for any game site you want to set up. I features a large content/news slider at the top just below the menu. Being a gaming site this one also supports and uses multimedia and images on the front page giving visitors a quick way to visually navigate the site. Below the slider there are different content areas which enables sorting for latest, popular and featured article. GameUp is a minimal and elegant theme that will appeal to anyone wanting to make a perfect gaming portal or blog. With it’s fresh and functional layout it is easy to publish content and customize the theme through the theme control panel which allows you to add logos, customize navigation, setup a featured category etc. It’s easy to setup a professional looking game blog in minutes. It features a front page slideshow to display news bulletins, automatic thumbnail generation with smart cropping capability so you won’t loose image quality. It offers easy drag and drop menu generation, widgetized sidebars, adsense ready, jQuery, social bookmarking and compatibility with the latest WP version. GameWorld is a fixed width game theme with a simple yet functional design. It’s high contrast color scheme adds to special mood of games making it a great choice for a portal for games. Below the main menu it’s got a featured image slider showcasing the news and tabbed browsing makes it easy to organize loads of content in to ordered categories. just below the image slider you can showcase the latest reviews of games and the widgetized side right sidebar makes a great place for recent posts list, archives etc. GamesMania is a popular free premium WP theme with a very stylish and functional layout – perfect for gaming blogs or the like. It has an easy to use options page, supports post thumbnails, 125×125 banners ready, widget ready, gravatar on comments and SEO optimized. Compatible with latest word press versions like IE, FF, Safari. It’s one of the best free wordpress gaming themes available. MmoPress is a free fixed width theme with an interesting and functional layout suitable for a game niche like online games or entertainment websites or blogs. It has an easy to use options page, supports post thumbnails, 125×125 banners ready, widget ready and SEO optimized. Compatible with latest wordpress versions. iGames is a free, cool and classic looking theme that will fulfill the basic needs for a great gaming website. It has an easy to use options page, supports post thumbnails, 125×125 banners ready, widget ready, gravatar on comments and SEO optimized. Compatible with latest wordpress versions. GamesMania is a free 3 columns WordPress theme with Option/Admin Panel, feature posts and post thumbnail image. Suitable for games WordPress sites. The GamesPark makes a perfect game theme with stunning visuals and functionality. This theme comes with social sharing features for facebook, twitter, google+ and more. GamesMax is a free 2 columns WordPress theme with Option/Admin Panel, footer columns and post thumbnail image. Suitable for games WordPress sites. DarknessGame is a free 3 columns WordPress theme with Option/Admin Panel, featured posts and post thumbnail image. Suitable for game WordPress sites. Carsten started writing for Tripwiremagazine in 2011 and is a blogger who likes to write about WordPress topics, web design, photography, blogging, new tech stuff, gadgets, gaming etc. I’ve seen some of the theme but most of them are new and crazy in a positive way. Just brilliant as the author of this templates. Hope this are compatible with mobile devices and can ran quickly online. Nice and Brilliant for a collection. The nice thing about free theme is the idea itself of having it and combining! Thanks for the wonderful theme. I love Gameleon design its so awesome! New resources and most of them are for free. Thanks! Glad you liked the themes we have rounded up in this article. Hope you found one you could use. some pics to drive the message home a bit, but instead of that, this is magnificent blog. 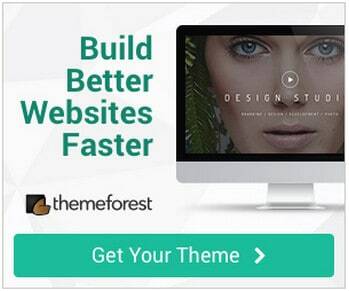 you wanna stay away from the … so called “free themes”. thanks for the article tho. I like Review WordPress & BuddyPress Theme, Wish I could buy it after having my next payment from advertiser. I recommend it to everyone . keep for sharing. Really nice WordPress Gaming Themes and really useful.I love WordPress Arcade Theme. its so awesome! Thanks for the helpful websites ,these are great themes. I am already i have been using it. Hi… I´m searching by a theme like this: http://www.gamestop.es/ someone of you know where i can find It? ive seen the site theme you like, and yes vrey nice and complete in details. I love it, hope that admin can provide this kind or similar to this theme. Anyway, the collection were brilliant and awesome as well. Thanks a lot for keeping a nice themes like this. Brilliant. games post thank you much, very good article I need it Thanks for the post. I appreciate the info on blog comments and will surely start looking out for people who are using automated programmes for making blog comment posts. Great Game themes, downloading some now. Nice collections of Gaming themes! How about flash games theme for wordpress? How do you add these to wordpress once they are purchased? I am now not certain where you’re getting your info, but great topic. I must spend a while finding out more or working out more. Thank you for great information I was searching for this information for my mission. You can definitely see your expertise within the work you write. The arena hopes for even more passionate writers like you who aren’t afraid to say how they believe. All the time go after your heart. Are these theme using timthumbs? I totally bow for the designs. Amazing on how it looks. Its really hard to decide which theme to use. And I agree with Daniel, hope soon it would be compatible with myarcade plugin. A theme for flash games and blogs in one. I really love your list of themes. I really love the look of the LeetPress and Games themes. I think for the purposes of functionality, I’ll have to go with LeetPress because it has a built-in rating system. I’m building this site for my son’s gamer website, so I want it to be easy to get going for him. Thanks for the great list! Black Aperture and eGamer are probably the most appealing to me. I’ll check the live previews and see how they look. Keep up the good work! Can’t wait to see more of your collections. I really love the themes, clean and totally amazing to look at. Great Job admin. Thank you for sharing! It is very good site.for all see and use. i like it very much. I was excited to discover this site. I wanted to thank you for your time for this wonderful read!! I definitely savored every little bit of it and i also have you book-marked to look at new information on your website. Good site you’ve got here.. It’s difficult to find high-quality writing like yours these days. I truly appreciate people like you! Take care!! I’m excited to find this site. I want to to thank you for your time for this fantastic read!! I definitely enjoyed every part of it and i also have you saved to fav to see new things on your site. There are lot of websites where you can embed their games to your website, for exmaple http://www.freegamesonline.eu.com This way you can safe your bandwidth. gonna use the theme ASAP. thanks for sharing. nice collection of themes . Thankx for sharing . Hey – just wanted to say thanks for this great list of useful themes. I am building an iPad game review site, and this was very helpful. Do you have a favorite theme? Also, what are your thoughts on reviewit? It seemed like it had the most out-of-the-box features. Thanks for your nice WordPress Gaming Themes collection…. I think Counter Strike is the longest running game that is still playable by really ANYONE, as well as Counter Strike Source, I don`t get why people don`t rely on it. I think with these themes and MyArcadePlugin ( http://myarcadeplugin.com ) you could build an amazing Online Games Site supported by WordPress.